How can we keep from complaining about the Land of Israel? Just a few days ago, we commemorated the yahrtzeit of Yehoshua Bin Nun, the first Jewish leader to bring masses of Jews to the Land of Israel. Yehoshua composed the second blessing of the Grace After Meals after he conquered the city of Jericho on the 28th of Nissan. 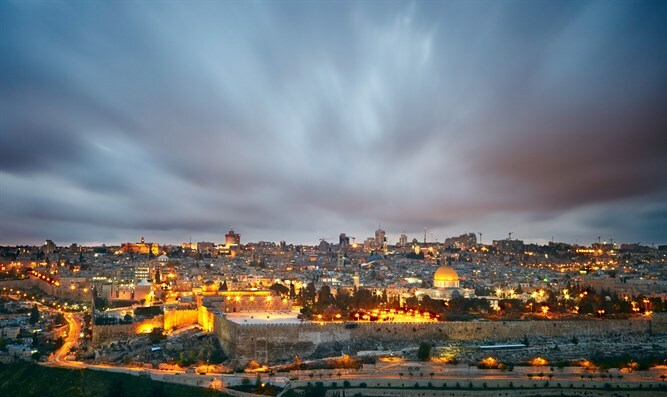 In that blessing, he referred to the Land of Israel as a “good and broad Land”. The “good” of the Land is connected to Yehoshua himself, while the broadness of the Land, its hidden potential, is connected to his wife, whose name, Rachav, means broad. Even though Jericho was the first city to be conquered by Israel in the Land of Israel, and the Land under Israel’s rule was not yet broad at all, Joshua saw its hidden potential, thanked G-d for the Land and sang its praises. Thousands of years later, in Adar 5537 (1777) one of the foremost disciples of the Ba’al Shem Tov, Rebbe Menachem Mendel of Vitebsk, made Aliyah to the Land of Israel with three hundred of his followers. This was the first group Aliyah and in those days, making Aliyah with three hundred people was unheard of. It would be comparable to a Jewish leader making Aliyah today with millions of followers. Rebbe Menachem Mendel of Vitebsk, whose yahrtzeit is on the first of Iyar, took upon himself to ensure the physical well-being of his followers. Settling in Tiberias, he spent all of his money to sustain his community and founded the main organization (Kollel Reicin) that raised funds from the Jews in the Diaspora to feed the poor Jews of the Land of Israel. 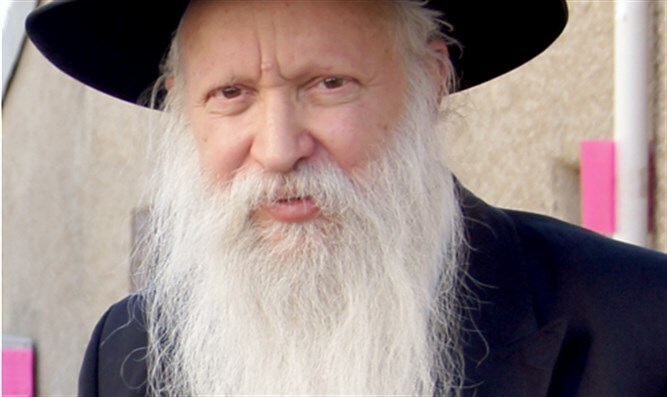 One year, the emissary that Rebbe Menachem Mendel had sent to Europe to raise funds was late to return. Money and food dwindled to nothing. Starvation – literally – set in. All the Jews of Tiberias came to Rebbe Menachem Mendel, crying that they were dying of hunger. Rebbe Menachem Mendel attempted to calm them and strengthen their fallen spirits, but to no avail. Finally, when he saw that he could not calm them down, he sighed deeply, looked outside and said, “I see that the emissary is already on the mountain opposite Tiberias. Soon he will arrive. Soon G-d will send His salvation”. Rebbe Menachem Mendel added that this had been a trial from G-d – and by complaining, they had failed. If they had mustered up more faith in G-d, he would have been empowered by that faith and would have been able to draw down the Heavenly gift of financial independence for the Jewish communities in the Land of Israel – forever. Our Sages say that three things are acquired with suffering: Torah, the World to Come, and the Land of Israel. The Jews of Tiberias in the days of Rebbe Menachem Mendel truly suffered and were faced with a difficult trial. But that is part of the suffering of the settling of the Land of Israel. Complaining about the Land of Israel and inability to withstand the trials are a throwback to the complaints of the Israelites in the desert. When we accept the difficulties and trials with quiet resolve – that we are here in the Land of Israel no matter what – this empowers the tzaddik with holy strength in the merit of the people, to draw Divine abundance down to the Land. How can we keep from complaining about the Land of Israel? How were the Jews of Tiberias supposed to overcome literal starvation without crying bitter tears? The Ba’al Shem Tov taught that we must activate pure faith and complete trust in G-d. When a person’s life is in danger, when life is really hard and there seems to be no way out, he is in a war against despair. Complete trust in G-d means not to despair – no matter what. The previous Lubavitcher Rebbe, Rabbi Yosef Yitzchak Schneerson, adds another level to this complete trust. It is possible for a person to stand strong in the face of severe adversity and to maintain his complete trust in G-d. But he may be engulfed in sadness. That is not enough, says the Previous Rebbe. “And when he trusts in G-d, but his soul is bitter upon him and he is sad - and silent gloom features on his face, this is not yet the complete trust in G- D according to our master, the Ba’al Shem Tov. For he who trusts in G-d with complete trust, his situation that is not good or G-d forbid, even bad, does not have to touch his heart or to cause him sorrow or distress”. When a person is truly connected to G-d, Who is only good, there is no justified reason in the world to be sad. It is a trial. The Alter Rebbe in the Tanya says that even if life is completely bad, a person must believe and trust that all is stemming from the essence of good. Everything is from G-d, Who is the essence of good. Everything is the very best that it can be. This is not a simple trial, but a Jew has the strength to overcome it. When he withstands the trial – with a smile, instead of gloom on his face - he turns everything into revealed good. This is complete trust in G-d with joy. If the Jews of Tiberias had put smiles on their faces and held out a little longer, if they had trusted in the Land’s potential - the starvation would have turned to abundance. So keep smiling and thanking G-d for the good and broad Land that He has given us!